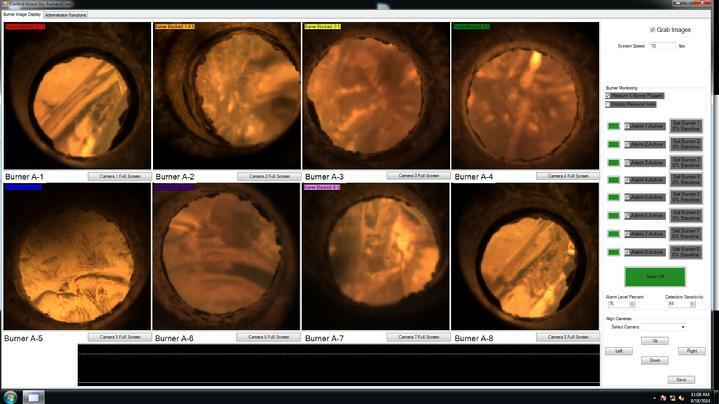 FurnaceCam 2.0 is a new digital version of our legacy FurnaceCam system for Copper Rod Mills. High resolution color images of the vertical rod mill burners are all combined on one easy to view monitor. Machine vision software monitors the burner health and alerts operators to furnace problems. High-definition color cameras are ruggedized and cooled using plant air providing years of reliable service.